You want morels, and I can help. No, I can’t reveal my secret locations… not necessarily because I’m selfish (well, maybe partly), but because it wouldn’t be fun for you. Morel mushroom hunting is adventurous. It’s thrilling, and it’s incredibly rewarding! If you’ve ever found any on your own, you know exactly what I mean. Don’t worry though, I can still help. 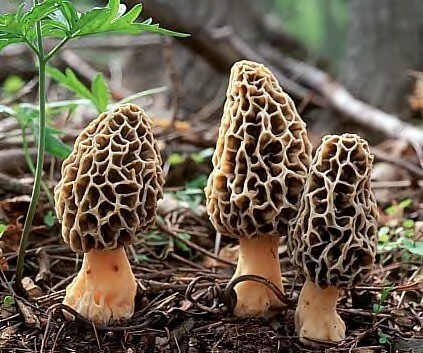 In this article, I’d like to outline important information you need to know in order to identify and find morel mushrooms. You will learn the basics: when to look, where to look, what they look like, what looks like them, and more. Heck, I’ll even tell you why it’s important to harvest morels. And that reason is your health. You see, beyond the thrill and beyond their deliciousness, morel mushrooms are quite nutritious and medicinal. Anyway, by the end of this article, you will have a much better grasp on the topic and will gain enough confidence to go out and harvest to your appetite’s (or ego’s) content. And of course, you will understand that this mushroom hunting thing isn’t so difficult… in fact, it can be quite easy (the hard part is finding and protecting your very own secret spot!). I’ve spent many years stalking the wild morels, and today I am happy to be sharing all that I have learned with you. *Note: Morel mushrooms grow in the temperate regions around the world. This article will primarily focus on my experiences with morel mushroom harvesting in North America. Morel mushrooms are our fungal harbingers of spring. 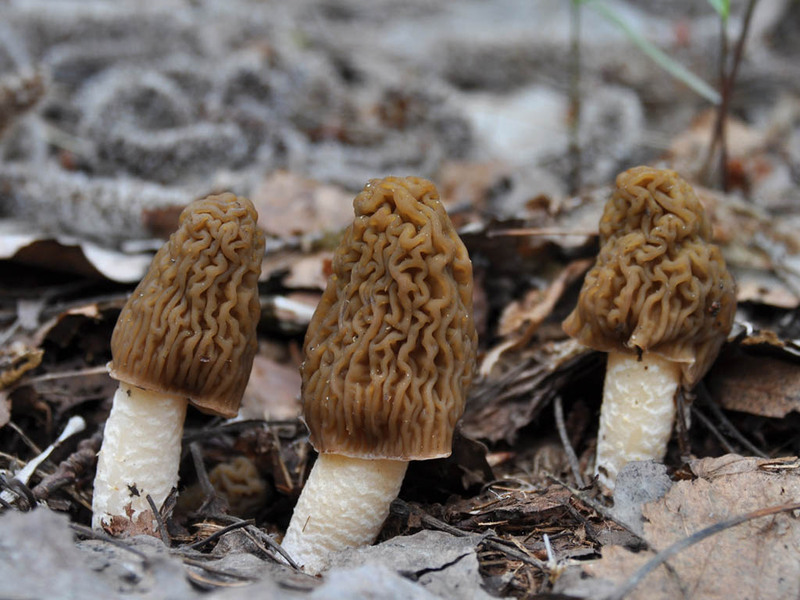 Depending on where you live, the period between March through early June encompasses the typical season for morels in the Northern Hemisphere (March in the Southern United States, and June in the northern areas and higher elevations, such as the Canadian Rockies). This means that whenever your local spring ephemerals appear, morels aren’t too far behind. 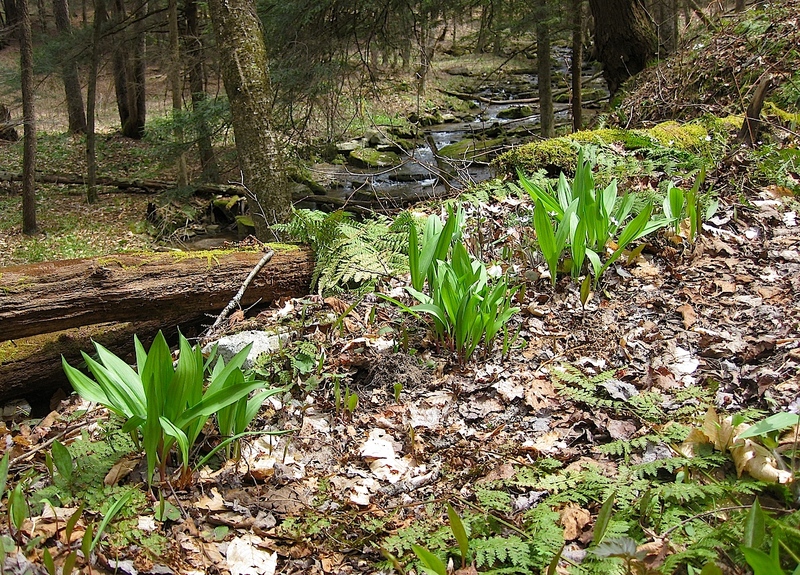 For example, here in the Northeastern United States (Pittsburgh, Pennsylvania to be exact), native plants such as wild leeks, spring beauties, trout lilies, and trillium can be found in April and May. Whenever their leaves and flowers appear, I know that morel mushrooms are just an apple orchard away (more on that later). Your local plants may differ, though the morels still abide by this time frame. 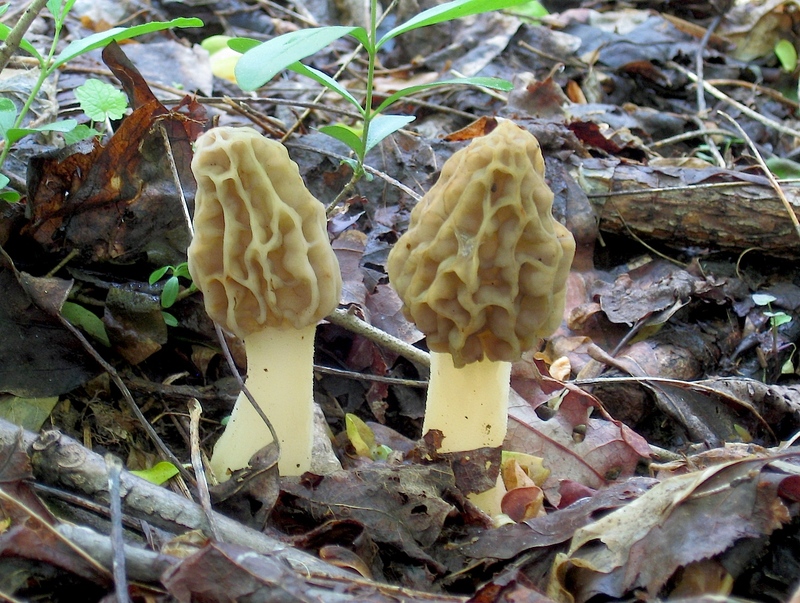 Black morels usually appear first, and yellow morels can typically be spotted about 3 weeks later. 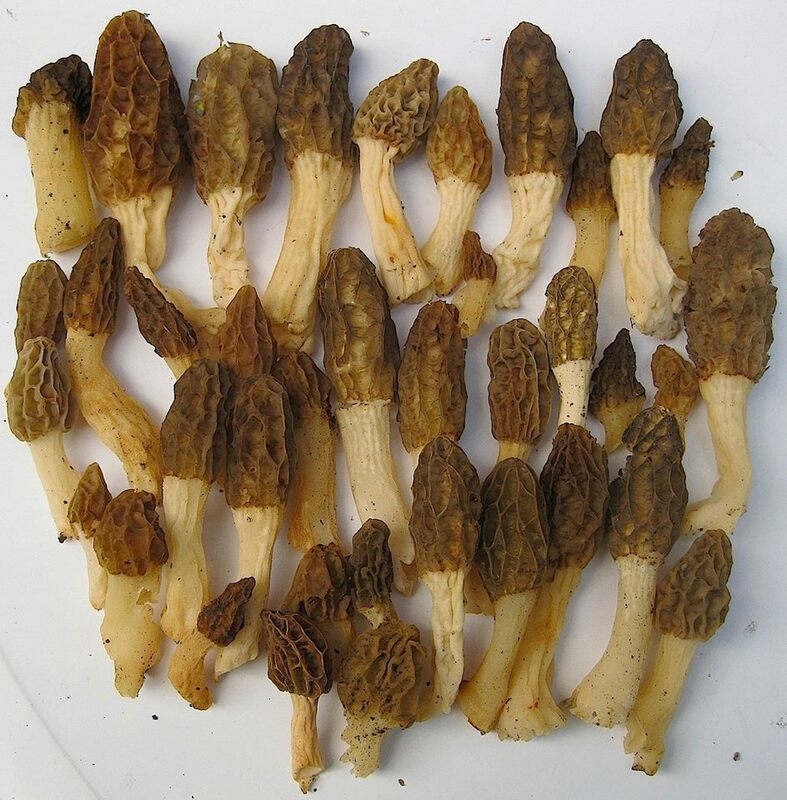 Additionally, you have a better chance of finding yellow morels later in the season (May and June) compared to black morels. Of course, morels have been spotted even in winter months. They’ll do as they — not we — please. Generally speaking though, you have the best chance of finding them March through June in North America. Morel mushrooms inhabit the temperate zones of the Northern and Southern Hemispheres. A point I did not mention previously is that morels appear in the months of September and October in the Southern Hemisphere. Some mushrooms grow on trees. Morels do not. You will always find them on the ground. They appear solitary, scattered, or in groups and clusters. They do not grow on wood. Whenever you spot one morel, stop moving and look around. Many times you will find several morels within the vicinity. 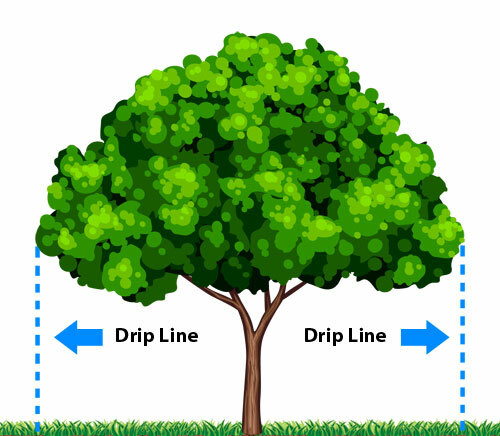 A general recommendation is to search around a tree’s drip line, which is the imaginary ring around the tree’s canopy on the ground level. Black morels typically appear first, so we’ll start with them. They generally grow near ash, sycamore, aspen, and coniferous trees, and are most commonly found in Northern and Western North America (though they certainly do grow in Eastern North America). Disturbed areas are good places to look, including campgrounds, along roads, and in logged areas. Black morels can be found in burned areas as well, especially 1 to 2 years after the occurrence of a forest fire. Additionally, wetland areas can be conducive to black morel mushroom fruitings, especially in lowlands containing sycamore and cottonwood trees. Yellow morels are more common in Eastern North America and in the Midwest (though they do grow in Western North America). They grow near a variety of hardwood trees, including tulip poplar, ash, and dead or dying elm trees. Older apple orchards are also good places to look. Of course, these are generalizations for both. Yellow morels grow in burned areas, too. Black morels may be found under tulip poplar trees. I have simply narrowed down the descriptions to what is most commonly observed. There will always be outliers. Morels, regardless of species, seem to prefer alkaline soils — hence their preferences for burned areas and old apple orchards. Forest fires create ash, thus increasing the alkalinity of the soil. Apple orchards may have been treated with calcium carbonate in a process known as “liming.” Liming increases the pH and alkalinity of the soil. Morels really like that! 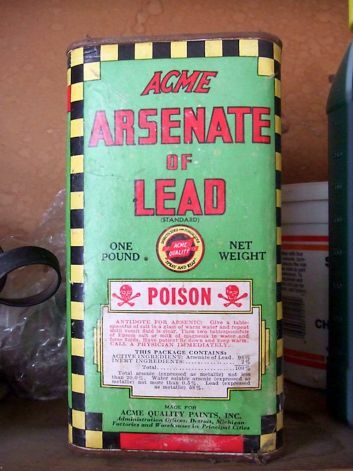 A word of caution: it was once a common practice to apply lead arsenate as a pesticide in apple orchards. Subsequently, lead and arsenic have built-up in the soils whose trees received application of this pesticide. Plants and mushrooms have the ability to uptake heavy metals from the soil, however no toxicities have been confirmed as a result of eating morels harvested in old apple orchards. Caution is still warranted in these areas. For a detailed commentary on this topic, check out another article on this blog. I can think of better seasonings for morel mushrooms. Yellow morels and black morels represent species complexes… meaning, there are several species that fall under each term. Yellow morels generally include the species Morchella crassipes, Morchella deliciosa, and Morchella esculenta. Even some morels classified as these may in fact be other species. It can get quite complex. Black morels generally include the species Morchella angusticeps, Morchella conica, Morchella elata, and others. Morels are typically conical in shape. They tend to appear longer than they are wide. This is in contrast to a few look-alikes, which may be wider than they are long. The caps, or pilei, of morels are typically 3-11 cm high (1-4 inches), and 2-6 cm wide (1-2.5 inches). Stalks, or stipes, of morels can typically be 1-10 cm long (0.5-4 inches), and 1-4 cm thick (0.5-1.5 inches). Again, we’re generalizing here. Very large morels have been collected, and teeny tiny ones have also been spotted. As their names suggest, morels can be found in a variety of earthy colors, with caps ranging in color from yellow, yellow-brown, brown, olive, to gray and grayish-black. Morels will rarely, if ever, present shades of red. Remember this point as we discuss a look-alike further into this article. The stalk is usually whitish/cream-colored. Morel mushrooms have unique caps, and once you learn a few important features of their caps, misidentification becomes highly unlikely. Yellow Morels — Morchella diminutiva. This species typically grows under tulip trees, and is characterized by its smaller size and longitudinally-oriented pits within the caps. Black Morels — Morchella angusticeps. This species typically appears earlier than Yellow Morels, and is characterized by its darkened ridges and conical shape. The first feature is that their caps are pitted and ridged, almost honeycomb-like in appearance. 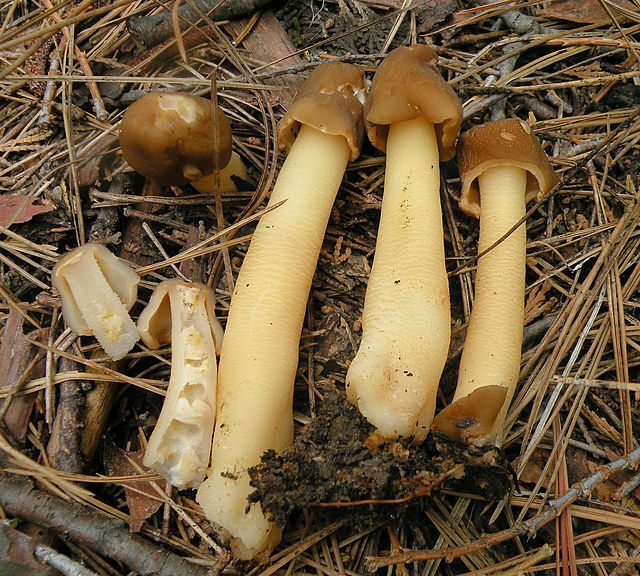 A look-alike species (Verpa bohemica, discussed below) contains a cap whose texture appears to be more lobed, different than the pitting seen in morels. The second feature (shown below) is that their caps are completely attached to their stalk, from the top of the cap to bottom. Cut one in half lengthwise and take note: is the cap entirely attached to the stalk? If so, it is most likely a morel. This feature contrasts with a few look-alike species, whose caps will either be attached only half-way down from the top of their cap to the middle, appearing skirt-like, or only attached at the very top. More on this below. A third feature, related to the second, becomes apparent once a morel is cut in half lengthwise. Morels are hollow, head to toe from the top of the cap to the bottom of the stalk. Some mushrooms are solid all the way through, and some are chambered and seemingly “stuffed” with cottony material. Morels will have none of that. Morel mushrooms, when cut in half lengthwise, are hollow. Note the hollow interior and the fully attached cap to the stalk. It seems that the finer things in life demand a bit of effort. If morels had no look-alikes, the hunt would be too easy. And what fun would that be? There are a few look-alike species, and perhaps this is why you are reading this article. You’d like to learn some of them, and I think that’s very noble! Some of these species are benign, and some may be a bit toxic. And of course, if you convince yourself that any mushroom looks like a morel, well then… consider joining a local mushroom club for assistance. But really, there are only a few species that may look like morel mushrooms, and the differences between them are quite easy to learn. This is perhaps not quite a look-alike, as it is a species of Morchella. However, a basket full of half-free morels will not provide the same satisfaction, nor create a similar feeling of envy in your friends, as would a basket full of yellow or black morels. Half-free morels, notably their caps, are typically smaller than true morels. Their caps are pitted and honeycombed much like true morels, though a key distinguishing feature is that half-free morels have caps that are only attached halfway to the stalk — hence the description “skirt-like.” The lower half of the cap, unattached, hangs free from the stalk. Like true morels, half-free morels are hollow when cut in half length-wise. The interior of Morchella punctipes. Note the hollow interior and the skirt-like cap, which hangs freely away from the stalk only halfway. Half-free morels generally appear a week or two before yellow morels and are edible, though they are considered fragile and inferior in taste compared to their true counterparts. Note the lobed appearance of the cap. This mushroom contains a cap similar to the true morel. However, the cap of V. bohemica appears to be lobed and wrinkled, compared to the pitted cap of true morels. Like true morels, V. bohemica is hollow when cut in half lengthwise. How to really tell them apart? Here is a key distinguishing feature: the cap of V. bohemica is attached to the stalk only at the apex (the top), with the sides hanging down freely (refer to the picture below). Compare this to true morels, whose caps are attached completely to the stalk. This feature becomes very apparent when V. bohemica is cut in half lengthwise. The cap will not be entirely attached to the stalk. It will only be attached at its apex. From a distance, this mushroom may resemble true morels. Upon closer inspection, however, the difference is as apparent as night and day. The cap of V. conica is quite small compared to the length of the stalk, and it does not contain the deep pitting that caps of true morels contain. As its name suggests, the cap looks like a thimble placed on top of a mushroom’s stalk (I assure you though, it is not a thimble! ), and it pops off fairly easily. Like the true morel, the entire mushroom is hollow when cut in half lengthwise. However, a key distinguishing feature is that the cap, like the cap of V. bohemica, is attached only at the apex. The sides of the cap hang freely. Gyromitra caroliniana, one of the “False Morels.” Note the convoluted, brain-like appearance of the cap, as well as the massive stalk. The genus Gyromitra represents about 18 different species. They do not appear conical in shape as do true morels, but rather are wider in appearance. Perhaps the most renowned species is the false morel, Gyromitra esculenta (not pictured). Previously, I mentioned that true morels will rarely appear reddish in color. Here is why this point is important: false morels tend to present darker shade of reds. Additionally, in contrast to true morels, false morels have wrinkled, brain-like, or convoluted caps. Another key distinguishing feature becomes apparent when cutting a Gyromitra in half lengthwise. False morels will be visibly chambered or stuffed… not hollow. Remember, true morels (and some of the look-alikes) are completely hollow inside. Not so with species of Gyromitra. They are chambered or stuffed. False morels have caused human poisonings. G. esculenta contains gyromitrin, a hydrazine compound that is converted into monomethylhydrazine (MMH) in the body. MMH is used as rocket propellant in NASA’s spacecraft, and is (no surprise) toxic to the human body. Nausea, vomiting, and diarrhea are initial symptoms, followed by fever and fatigue. In severe cases, gyromitrin poisoning can lead to liver and kidney failure, followed by coma and even death. Having said that, many people enjoy eating Gyromitra esculenta. Why? Well, it’s quite a popular edible mushroom, especially in Europe. No, it’s not eaten raw (note: I always recommend cooking wild mushrooms). Instead — and this is important — the mushroom is boiled, and the cooking water is discarded. Some individuals seem to tolerate false morels. Others have become extremely ill, especially after inhaling the vapors produced from the cooking liquid. My advice? You’re reading this article because you’re interested in morels. You know, real morels. Stick with those, and you should be fine. Acknowledge and appreciate the others. Yellow and black morels are prized edible mushrooms, though something tells me you already knew that. They’re also quite nutritious and medicinal, and if you watched the video posted above, then perhaps you already knew that as well. As with all wild mushrooms, always cook morels. Never eat them raw. While cooking methods are quite diverse, many people believe morels taste best cooked in butter or oil. I tend to agree. Though rare, there have been reports that eating cooked morels while imbibing alcohol can produce gastrointestinal distress in some individuals. This seems to be more apparent with cooked black morels than yellow. If you happen to acquire a surplus of morel mushrooms, the best thing to do would be to let me know, and then we can work on getting those into my kitchen. The next best thing may be to dry them. Upon drying, morels develop a strong, though pleasing flavor. They can be reconstituted in water, though many people prefer using a cream-based liquid for extra flavor. 45 minutes will suffice. And remember, the next step is to cook them. If you have never eaten morel mushrooms, it may be wise to sample only a small portion your first time (cooked, of course). This is a good practice with any wild mushroom. Cook up one cap or less, and wait 24 hours or more before consuming more. If you are sensitive or allergic, such a small amount of mushroom should only produce mild indigestion and/or nausea. This will only occur in rare instances. Most people tolerate (and obsess over) cooked morel mushrooms. And we’re not talking a whole plateful, of course. Think of them as an appetizer. People seem to be divided on the issue of harvesting. One method is to pull the mushroom directly from the earth, another is to pinch off or slice with a knife at the base of the stalk. I am a fan of the latter. I’ll pinch or use a knife to cut mushrooms (morels included) at the bases of their stalks. *Note: Amanita mushroom harvesting is an exception. Species of Amanita contain a universal veil which usually creates a volva (cup or bulb) at the base of the stalk. The volva can remain underground, and digging around the mushroom with a knife or your fingers is a necessary step for identification. Amanita bisporigera. Note the volva (cup or bulb) at the base of the stalk. Mushrooms do not have roots like plants, though they do contain an important and essential thread-like network of strands known as mycelia. Pinching or slicing a mushroom’s fruiting body at its base helps to preserve the mycelia. Additionally, slicing at the mushroom’s base ensures a clean, nearly dirt-free harvest. Uprooting with one’s hands can be messy. Who really likes dirt in their meals anyway? I also recommend carrying your harvest in baskets. Mushrooms reproduce by spores, and allowing the fruiting bodies to potentially disperse their spores as you carry them around the forest is a good way to facilitate the longevity of a species. Mesh bags can work as well, though the mushrooms can be easily damaged during this method of transportation. Brown bags can be used, though allowing the spores to potentially spread is restricted. Plastic bags may not be the best option, for in addition to preventing spores from dispersing, plastic bags facilitate moisture retention. End result? Mushy mushrooms. Does your mushroom look like ones immediately pictured above? Is the cap completely attached to the stalk? When cut in half lengthwise, is the mushroom completely hollow? You’ve probably got morels. Congrats! Remember, foraging is a very rewarding activity that cannot be compared to any supermarket shopping experience. The craft of foraging penetrates deep into our biology as a lifestyle our species once cherished. Today, it may not be deemed as “necessary” as it once was, though I assure you… it is. Foraging for wild morel mushrooms allows us to connect to the earth in ways no behavior could ever replicate. Forage, then, the wild mushrooms… for yourself, and for the planet. You’ve got my support! One more thing… if you found this article helpful, please consider sharing! Thanks! Let’s stay in touch! To receive information from Adam Haritan on wild plant and mushroom identification, please enter your name and email address below. Thank you! Additionally, don’t forget to check out the Facebook and Instagram pages to learn more about wild food nutrition and identification! *Disclaimer (because…well, it’s only necessary! ): Remember, I am not responsible for the misidentification and/or consumption of anything… morels included! You assume all risks involved with this incredibly rewarding lifestyle. This article is meant to provide information only. Always be 100% positive of the identification of any plant or mushroom before ingesting. For additional assistance, guidance, and good times, I recommend joining a local mushroom club. Mushroom season is upon us! I also carry in mesh bags but have recently read that dispersing of spores is a myth due to the fact that by the time the mushrooms have grown to this point, they have produced and released all their spores already. I haven’t done any real research on this. I suppose no one truly knows whether it makes a huge difference to carry fungi in a mesh bag or basket, compared to in a sealed container. I figure it can only help, not hurt, to maximize the chances that a mushroom can still spread its spores around the forest… and so like you, I use a mesh bag or basket. I also figure that many individuals will harvest mushrooms when they are still quite small and young, at a time when they are indeed releasing spores. In these instances, a mesh bag or basket may be helpful. Many of the walk leaders for the Western Pennsylvania Mushroom Club recommend carrying our harvested fungi in baskets, and so this habit has always stuck with me. But you’re right… many people are claiming that it really makes no difference. Hmm! I’ll look into this a little further. Anyway, thanks for reading, commenting, and sharing your thoughts! I appreciate it! Thanks Adam for your good info this is my first year to hunt today was my first time didn’t find nothing going back in a week it might have been a little bit early 3\26\16 northeast Tn. There’s absolutely nothing quiting folks from using a 2nd time. I have mushrooms that are morel-like but I can’t identify them. Where can I send a picture so I can see what you think? Are there poisonus mushrooms in Mississippi? Thanks. I have morels in my woods! These are the first time I’ve seen them, there’s about 6. Should I forego eating them this year and let them reproduce?